At Jeffries, we are wholly committed to actively demonstrating our level of dedication to sustainability by achieving greater energy efficiency and reducing our greenhouse emissions. We are dedicated to increasing our own consumption of renewable energy, whilst developing emissions reporting and measurement programs to assist other businesses in our industry to achieve similar targets. Jeffries has chosen to take on a leadership role in encouraging discussion and early action on climate change across the board. 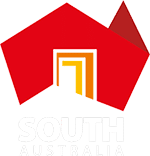 We recently signed an energy agreement with the South Australian Government to embark on playing a role in assisting the State Government to meet its targets of reducing greenhouse emissions. Our continued commitment to you is that we will constantly evolve and refine our processes, to ensure that we are doing our absolute all for the environment and for our future. It’s taking steps like these that we feel are so important to achieving a sustainable and viable future for generations to come.